Sunset Life Insurance Company is a stock organization that has been around since 1937. Their total assets are $408,033,546 with a net surplus of $29,573,641 and a capital of $5,320,000. Sunset Life Insurance does not offer any health insurance. To find health insurance, simply type in your zip code and compare different health insurance quotes to find one that meets your individual needs. For qualified and non-qualified markets, Sunset Life offers immediate and deferred annuities. The Variable Insurance products, mutual funds and other investment products are actually available through Sunset Financial Services, Inc., Sunset Life’s broker/dealer. According to A.M. Best, Sunset Life Insurance Company has received a rating of A- as of June 16, 2011. This is considered an “Excellent” rating with a “Stable” outlook as far as financial strength. Sunset Life Insurance Company also received an A- rating for A.M. Best’s credit rating. The outlook for Sunset Life Insurance Company’s credit is also “Stable” as of June 16, 2011. 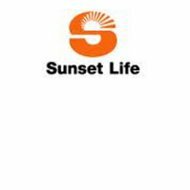 Sunset Life Insurance has career opportunities in their corporate office in Kansas City, MO and in various other locations throughout the company. You can access these options in their Career Agency System. This information has been collected for the sole purpose of having a top rated list of health insurance companies. The information was collected in 2009 and was made available to the public in early 2011. After collection of the data the results included how much was earned among insurers during 2009. The total was 650 billion earned on premiums of top rated U.S. health insurers in 2009. The top 25 companies, provided by U.S. News website, earned two-thirds of the 650 billion. To view different health insurance rates, enter your zip code. By doing this you can compare the rates of Kaiser Foundation, WellPoint Inc., Metropolitan Group, Blue Cross Group, HIP Ins. Group and other health insurance companies as well.